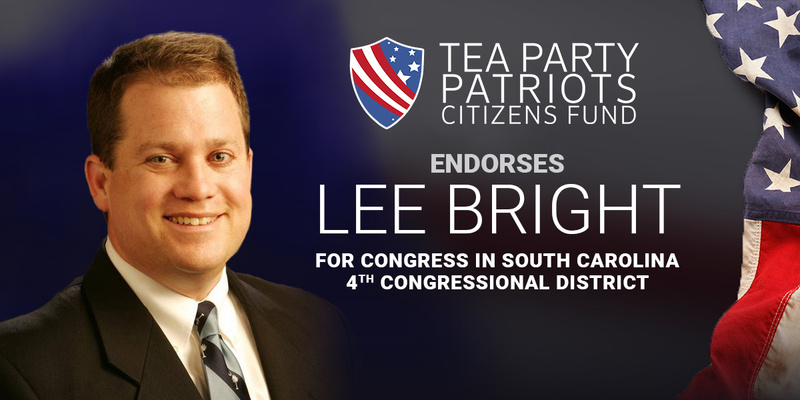 “For conservatives in South Carolina’s 4th congressional district, the choice is clear – Lee Bright is the right candidate for Congress. “Through the course of his eight years in the state Senate, Lee has demonstrated he has the backbone necessary to stand and fight for our conservative principles. He believes that when government grows, liberty dies – and he lives by those beliefs. “Lee is a strong supporter of term limits, and supports a Balanced Budget Amendment with a spending limitation provision, to ensure the federal budget is balanced by getting a handle on spending, and not by raising taxes. He supports the Penny Plan – a budget framework that spends just one penny less of every federal dollar spent the previous year as a means to balancing the budget in five years. “Importantly, he is the only candidate in the runoff who has signed the Americans for Tax Reform Taxpayer Protection Pledge, committing himself to oppose net tax increases. “On immigration, he strongly supports President Trump’s desire to build a wall, and also supports President Trump’s demand to end chain migration, the visa lottery, and sanctuary cities.